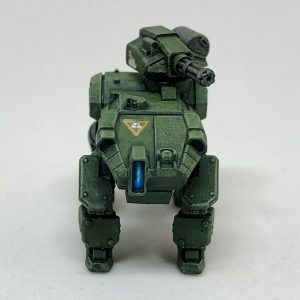 Another great model from White Dragon Miniatures, the Armadillo is an “automated pack-mule” robot that acts as a transport and fire support unit attached to a platoon of Marines. 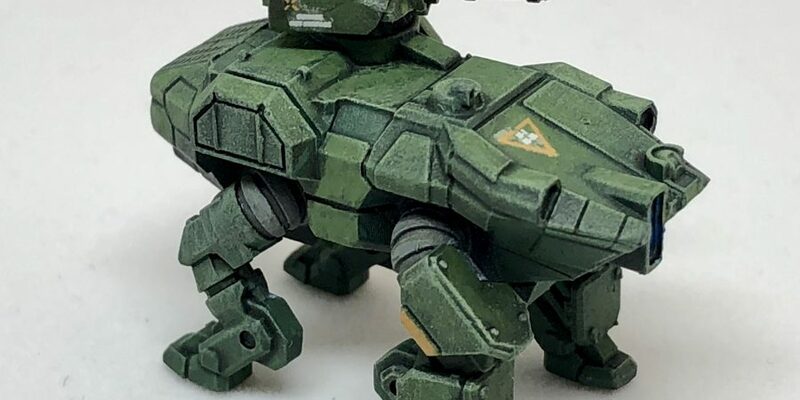 The model comes with a large armored shield that attaches to the right side of the mech but is not shown in the photos. 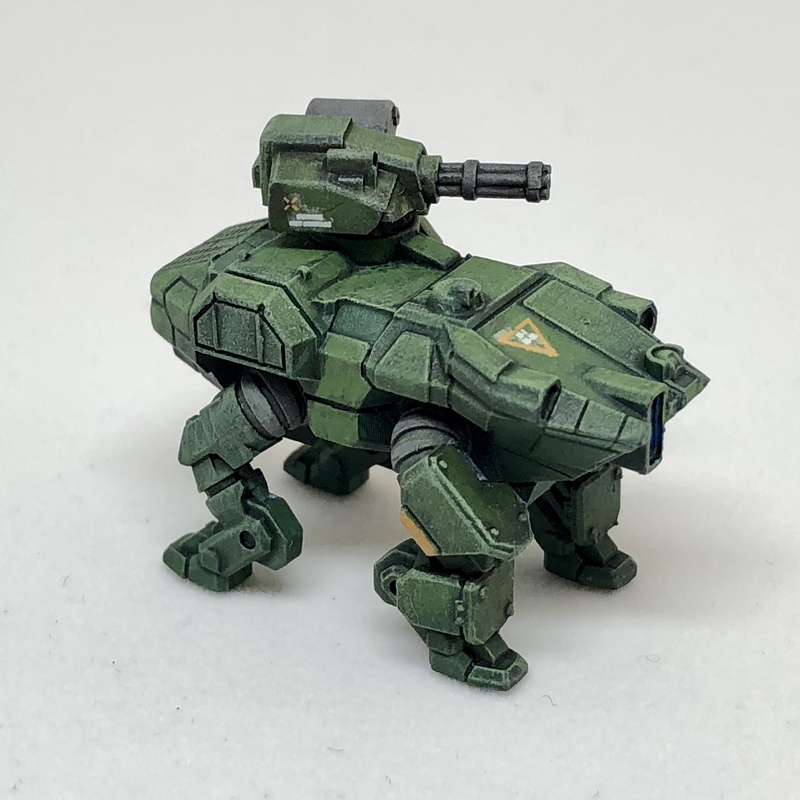 The shield features reactive armor blocks and smoke launchers. Also included are three options for mounted weapon: rotary cannon, grenade launcher and a missile launcher. The rotary canon is pictured here. I’m really preferring the green color of this Armadillo to the yellower green tone I gave to the MTU Troopers. 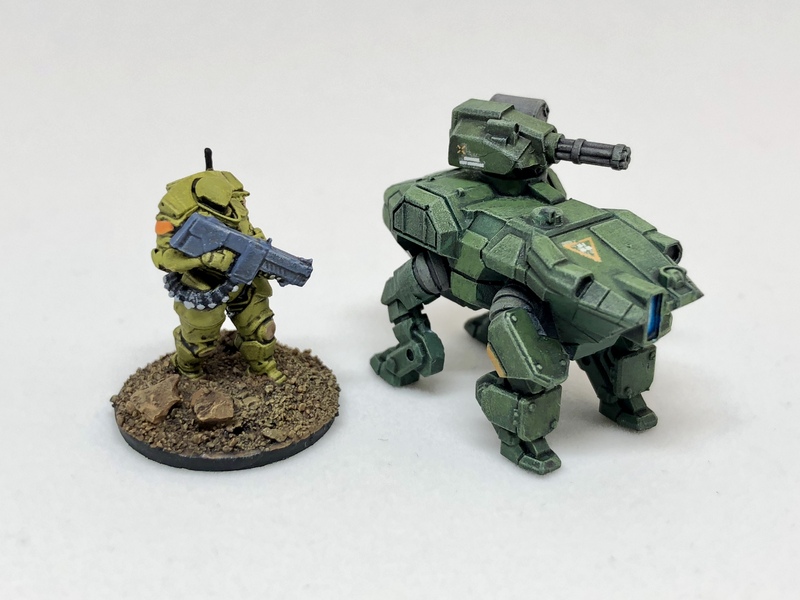 A new batch of troopers in the same darker shade of green may be in order.